Congressman Introduces Cannabis Legalization Bill H.R. 420 – If You Can’t Beat Them, Then Join Them! Under Federal law (Controlled Substances Act 21 U.S.C. 801) marijuana is designated as a Schedule I controlled substance due to the historical belief that it has a high potential for abuse, no currently accepted medical use in treatment, and lack of accepted safety for use under medical supervision. Third and subsequent offenses – Misdemeanor or felony punishable by 90 days to 3 years of incarceration and fines of up to $5,000. With aggravating factors such as a trafficking activity that results in an injury or death, a sale within 1,000 feet of a school, or a case involving five grams sold to a minor, the above penalties may increase dramatically. Medical marijuana is now legal in 31 states plus the District Of Columbia and recreational marijuana is legal in 8 states plus the District Of Columbia. Eight of those states (Alaska, California, Colorado, Maine, Massachusetts, Nevada, Oregon and Washington) and the District of Columbia have also legalized marijuana for recreational use. According to a 2017 Yahoo News/Marist Poll survey, 83% of Americans support legalization of marijuana. Republican Congressman John Boehner has joined the advisory board of Acreage Holdings, a company that cultivates, processes and dispenses cannabis in 11 U.S. states. Democratic Senator Dianne Feinstein now says the federal government should not interfere in California’s legal marijuana market. Feinstein’s office said her views changed after meetings with constituents, particularly those with young children who have benefited from medical marijuana use. President Trump discusses with Republican Senator Cory Gardner how he would consider backing Congressional legislation that would protect states with legalized marijuana from the Department of Justice. House Rep. Earl Blumenauer (D-Ore.) introduced a bill to remove marijuana from the controlled substances list and treat the drug like alcohol. The bill, known as the “Regulate Marijuana Like Alcohol Act”, is numbered as “H.R. 420” in reference to 4/20 (April 20), which is consider as a national holiday in cannabis culture. The bill would “de-schedule” cannabis, thus permitting state governments to regulate these activities as the states see fit. Further, cannabis would be removed from the enforcement power from the Federal Drug Enforcement Administration in matters concerning cannabis possession, production and sales, to a newly renamed Federal Department of “Alcohol, Marijuana, Tobacco, Firearms and Explosives” to ensure compliance with state laws and prevent illegal trafficking. This is not the first attempt by Rep. Blumenauer to help the cannabis industry. He’s the founder and co-chair of the Congressional Cannabis Caucus, and he’s been a co-sponsor to the rider attached to every federal spending bill in recent years that disallows the Justice Department from using any federal funding to prosecute medical cannabis businesses operating in legal states. The full text of the Regulate Marijuana Like Alcohol Act can be viewed here. While the developments listed above are favorable for cannabis business, it still remains to be seen when favorable changes will be made to the Internal Revenue Code which treats businesses in the marijuana industry differently resulting in such business paying at least 3-times as much in taxes as ordinary businesses. Generally, businesses can deduct ordinary and necessary business expenses under I.R.C. §162. This includes wages, rent, supplies, etc. However, in 1982 Congress added I.R.C. §280E. Under §280E, taxpayers cannot deduct any amount for a trade or business where the trade or business consists of trafficking in controlled substances…which is prohibited by Federal law. Marijuana, including medical marijuana, is a controlled substance. What this means is that dispensaries and other businesses trafficking in marijuana have to report all of their income and cannot deduct rent, wages, and other expenses, making their marginal tax rate substantially higher than most other businesses. The Bank Secrecy Act of 1970 (“BSA”) requires financial institutions in the United States to assist U.S. government agencies to detect and prevent money laundering. Specifically, the act requires financial institutions to keep records of cash purchases of negotiable instruments, and file reports of cash purchases of these negotiable instruments of more than $10,000 (daily aggregate amount), and to report suspicious activity that might signify money laundering, tax evasion, or other criminal activities. The BSA requires any business receiving one or more related cash payments totaling more than $10,000 to file IRS Form 8300, Report of Cash Payments Over $10,000 Received in a Trade or Business. The minimum penalty for failing to file EACH Form 8300 is $25,000 if the failure is due to an intentional or willful disregard of the cash reporting requirements. Penalties may also be imposed for causing, or attempting to cause, a trade or business to fail to file a required report; for causing, or attempting to cause, a trade or business to file a required report containing a material omission or misstatement of fact; or for structuring, or attempting to structure, transactions to avoid the reporting requirements. These violations may also be subject to criminal prosecution which, upon conviction, may result in imprisonment of up to 5 years or fines of up to $250,000 for individuals and $500,000 for corporations or both. 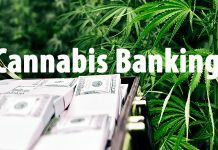 Marijuana-related businesses operate in an environment of cash transactions as many banks remain reluctant to do business with many in the marijuana industry. Like any cash-based business the IRS scrutinizes the amount of gross receipts to report and it is harder to prove to the IRS expenses paid in cash. So it is of most importance that the proper facilities and procedures be set up to maintain an adequate system of books and records. How Do You Know Which Cannabis Tax Attorney Is Best For You? 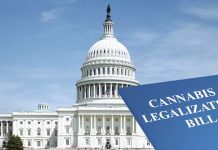 Given that cannabis is still illegal under existing Federal law you need to protect yourself and your marijuana business from all challenges created by the U.S. government. While cannabis is legal in California, that is not enough to protect you. It’s coming down that the biggest risk is TAXES. Be proactive and engage an experienced Cannabis Tax Attorney in your area. Let the tax attorneys of the Law Offices Of Jeffrey B. Kahn, P.C. located in Orange County, Inland Empire (Ontario and Palm Springs) and other California locations protect you and maximize your net profits. Next articleIs The U.S. Attorneys’ Office Poised To Help Support The Cannabis Industry? 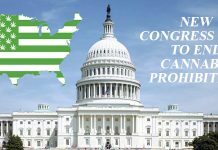 STATES Act Reintroduced In Congress To End Cannabis Prohibition – If You Can’t Beat Them, Then Join Them! Why Is Taxation Related To Cannabis Businesses So Complicated? 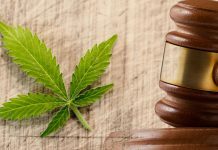 Evolution Of California Cannabis Law – Pending Bills Considered By The Legislature: Senate Bill 34 and Senate Bill 67. Get a Case Evaluation or Tax Resolution Development Plan from us before you attempt to deal with the IRS or any State or Federal Taxing or Enforcement Authority. You would meet with Board Certified Tax Attorney Jeffrey B. Kahn at the office location most convenient to you. Jeff will review your situation and go over your options so that you have a plan to address your cannabis-related and tax problems. Jeff’s office can set up a date and time that is convenient for you and take your credit card information to charge the $600.00 session fee which secures your appointment. By the end of your session, if you desire to hire us to implement the plan, Jeff would quote you our fees and apply in full the $600.00 charge for the session. YES - I WANT THE SESSION WITH JEFF.